Wonderful first floor living! Garden Village is a 6 unit condominium. The security gate serves Garden Village and a second smaller sized condominium complex. 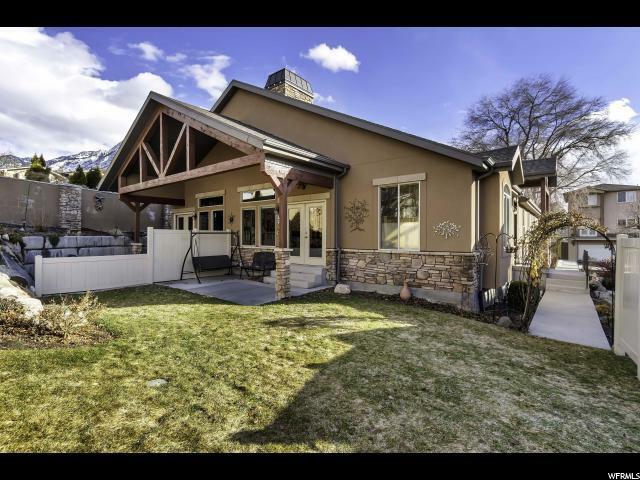 It is a very coveted location in Holladay, just walking distance to the town center. 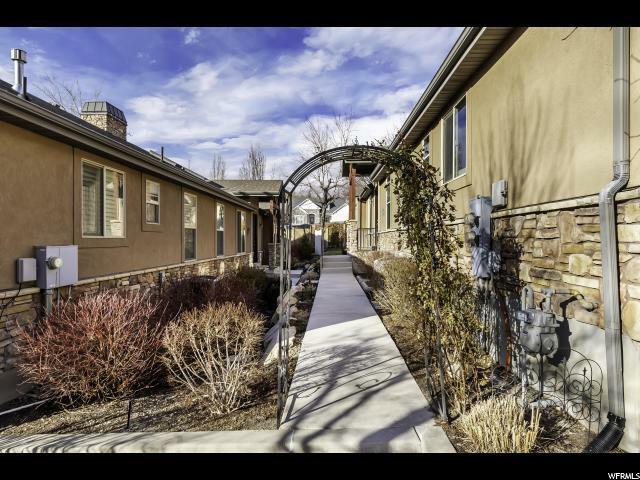 The unit available is a beautiful, meticulously maintained residence in Garden Village. Access is off of 2300 E. The home is 3229 square feet on 2 levels. 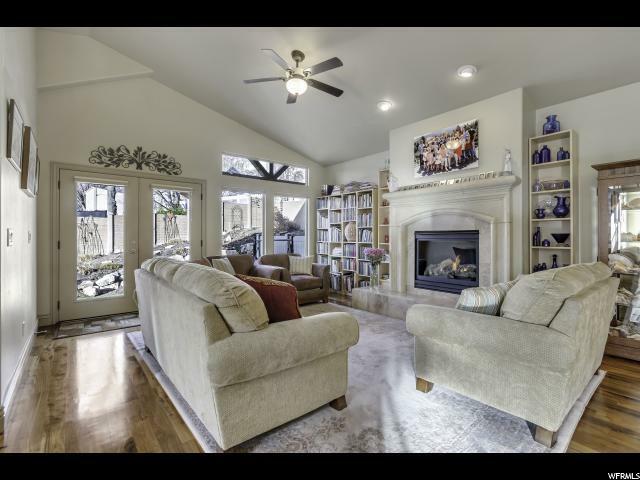 There are vaulted ceilings in the living room and master bedroom, with 9' ceilings and 8' doors on the rest of the main level. The upstairs has an easy flowing open floor plan for single floor living. 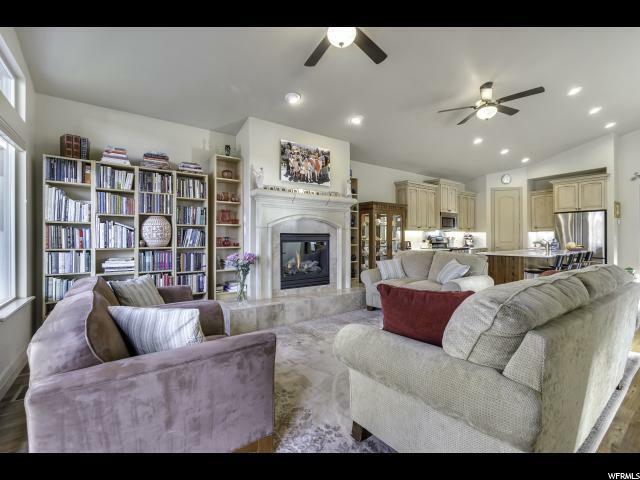 The living room is huge, has a fireplace with inserts and an open kitchen. In the kitchen you will find new Quartz counter tops, new sink, faucet, disposal and dishwasher. There is an additional 1/2 bath, a den and a utility room. In the spacious master suite, in addition to a vaulted ceiling, it boasts a bathroom that has a separate shower and a relaxing tub along with generous his and her walk-in closets. The home is full of upgrades, hardwood floors. The living room opens to a secluded, uniquely landscaped backyard. The downstairs has 8 foot ceilings, 2 bedrooms, plus a den, large family room, large bathroom with a linen closet and incredible storage. There is also a fireplace with insert downstairs. The home is perfect for folks that want generous space without time and effort consuming maintenance, that being included in the HOA dues. Yet there is ample separate comfortable space for visitors.